As if to add insult to injury, the bill disproportionately targets low-income and elderly communities, making care unaffordable and out of reach. Furthermore, should states opt out of maternity coverage, new mothers could also suffer from steep price hikes and limited access to care. We can do and have done better. Under the Affordable Care Act, 55 million women gained access to birth control and our nation underscored its commitment to women’s health. However, once again, Americans are fighting for their reproductive rights and access to affordable health care. On the campaign trail, President Trump promised to ‘Make America Great Again,’ yet the bill put forth by the Republican-led Senate promises to make our country far worse and leave millions of Americans fighting for their lives. 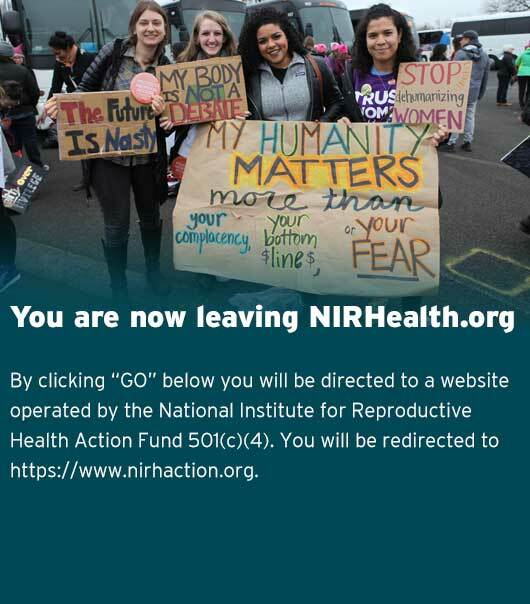 For its part, the National Institute for Reproductive Health (NIRH) will continue to pro-actively arm states and cities across the country with the tools they need to pass legislation that safeguards access to abortion and contraception, regardless of what happens at the federal level.